Wallet or stocking purses were very popular up to the 1860s, and they survive in great numbers, although examples of frame-knitted (machine) purses are rare. 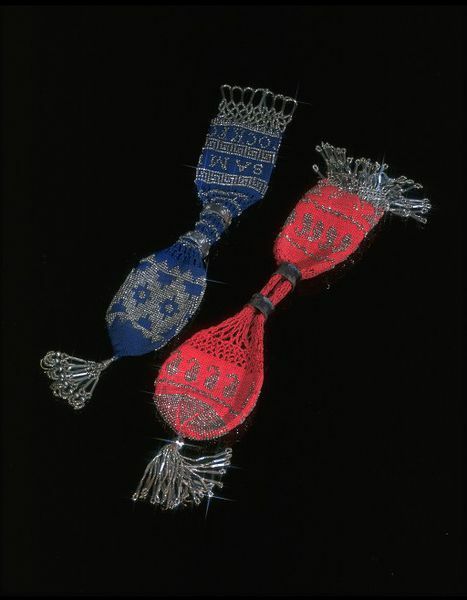 Many stocking purses were netted in silk and had steel beads, spangles and paillettes with steel, gilt, silver or gold sliders and tassels; their decoration varied from the minimal to highly patterned. 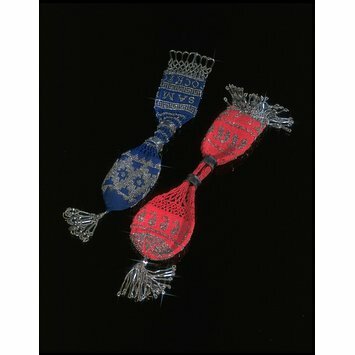 Often they were inscribed and dated, many, like this one, were made as gifts for gentlemen.